It has an awesome insulated pouch for bottles of wine or other beverages and an outer pocket for storage. 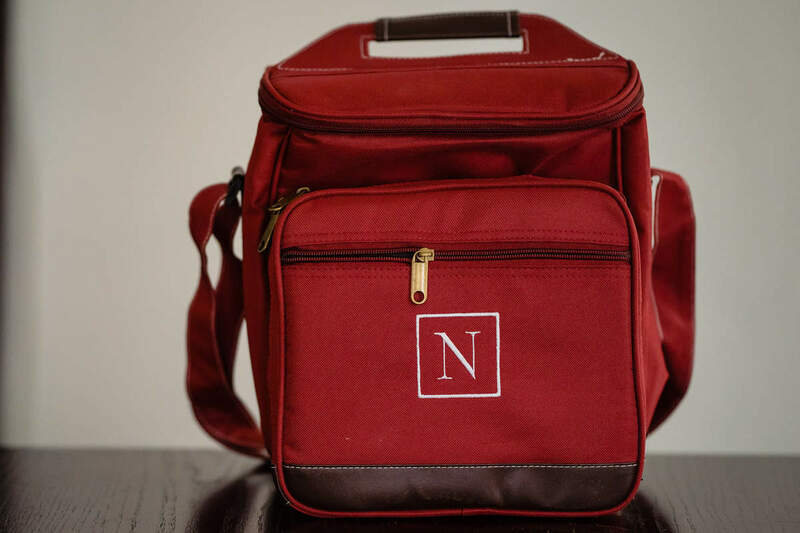 It also includes a central pocket containing a 5″ by 5″ cutting board, waiter’s corkscrew, bread knife, set of two stainless steel knives and forks, and two clear plastic wine glasses. Hint, hint, nudge, nudge. It’s a functional and awesome bridesmaid gift! Copy/pasted from the website: Who doesn’t enjoy a picnic? Especially when there is wine on the menu! 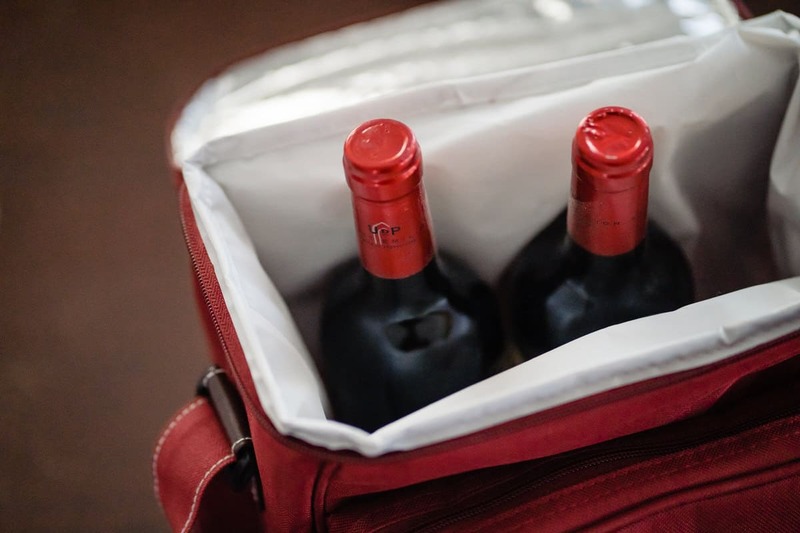 This adorable cooler has everything you need to wine & dine your favorite ladies…and definitely makes for a perfect gift for your bridesmaids who love to spend a day at the beach or park. 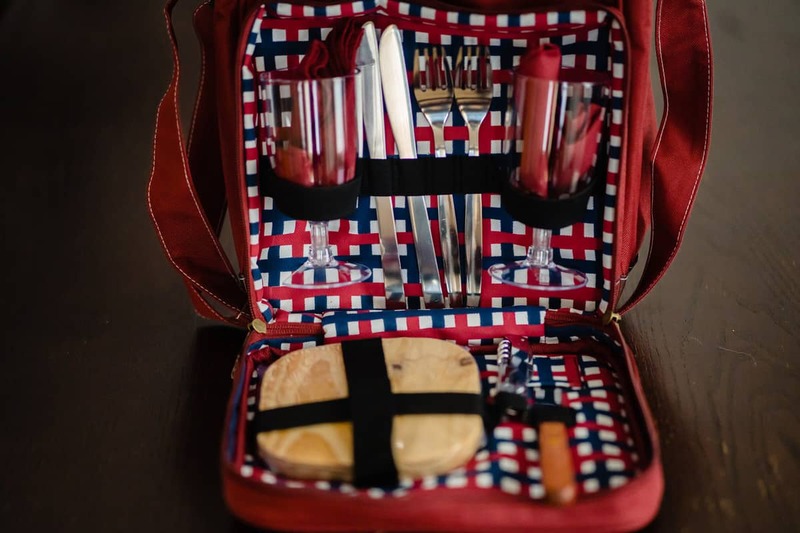 The picnic set actually comes fully equipped with two cloth napkins, two sets of stainless steel knives and forks, two acrylic wine glasses, a wooden cheese board with a wood handle cheese knife, and a wine bottle opener. The Crimson Cooler is made of a sturdy PEVA lined interior in a stylish checkered design. Celebrate many special moments with your bridesmaids when you give them this fun and unique gift!